CL 10th / Matric pass with 45% marks in aggregate and 33% in each subject. For Boards following grading sys Min of D Grade (33-40) in indl subjects or Grade which contains 33% and an overall aggregate of C2 Grade. 10+2/Intermediate pass in Science with Physics, Chemistry, Biology and English with Min 50% marks in aggregate and Min 40% in each subject. (i) Cl 10th Simple Pass. (i) Cl 8th Simple Pass (For Syce, House Keeper and Mess Keeper). On the basis of Physical Fitness Test, Medical Examination and Common Entrance Examination (CEE). 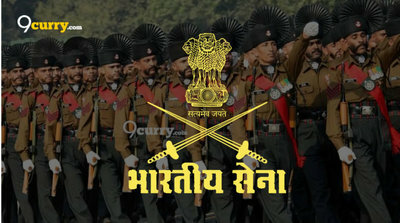 Eligible candidates may apply online at Indian Army's website (direct link is given below) from 16 Apr 2019 to 15 May 2019.